Situated in the much sought after Naturaliste Heights Estate, this large elevated 2 storey limestone/ brick home is both solidly built and generous in space. Positioned on a huge 1113sqm block this grand home has an oversized double remote lock up garage, another large single one for boat/ caravan or extra storage, separate workshop partially converted as a studio and fully reticulated low maintenance front and back gardens comprising of natives, yuccas and grass trees to name a few. 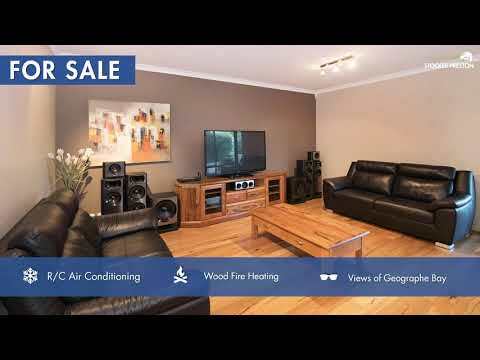 Featuring 4 bedrooms, 2 bathrooms, study, dining plus 2 flexible lounge/ living spaces complete with open plan kitchen and family area, this home has plenty of rooms to escape to. So if it is a large family home on a big block within walking distance to town that you are after, then look no further because here it is. Downstairs showcases the main family, kitchen, living and dining area as you walk over beautiful marri timber flooring. 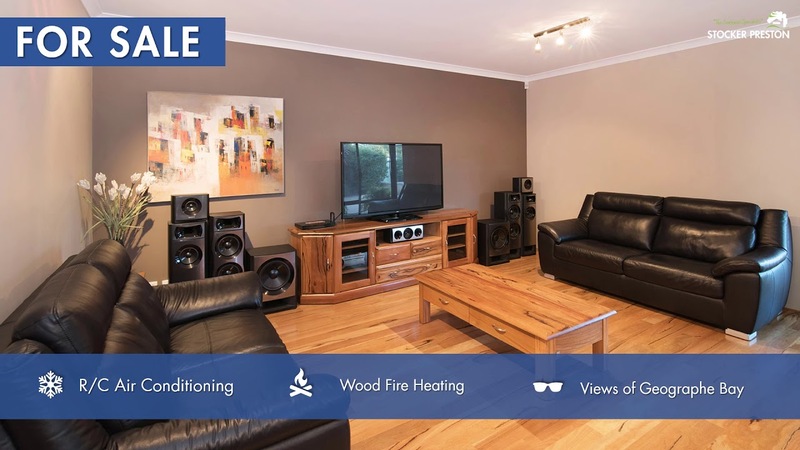 Be warmed by the Jarrahdale wood fire or R/C A/C in winter or open up the sliding door and kitchen windows to let the breeze in throughout summer. With a spacious open kitchen looking out onto its huge undercover paved alfresco/bbq/lawn area you will have plenty of room for entertaining. In fact there's so much room you could easily kick a football or put a pool and spa in. Completing your kitchen is a freestanding Smeg oven/cooktop and Fisher and Paykel double drawer dishwasher, a large wrap around benchtop/ breakfast bar and plenty of undermounted cupboards to store your crockery, food and utensils. Towards the other end of the house are 2 generous sized bedrooms plus study, set up as a bedroom, complete with robes including a separate WC and bathroom with shower and bath and a massive laundry with yes, more storage space and benchtops. Travelling upstairs you are greeted by a second lounge which opens out onto its own tiled balcony capturing views of Geographe Bay and with room for an outdoor setting. The 4th bedroom is currently used as an office which means the upstairs area is a complete adult retreat. Last but not least is the homes master bedroom complete with separate powder room, tiled ensuite with spa bath, shower and large WIR.